Japanese wines are something that is still very young and still developing. I have been getting more and more interested in seeing if Japanese wines have matured enough, but at the same time I am not a wine expert, nor am I a hobbyist. When it comes to wine, I have barely drunk any in the past and I have a very limited understanding of wine. With this in mind, please take a grain of salt into what I think about Japanese wines, but do note that what I like is what I like. 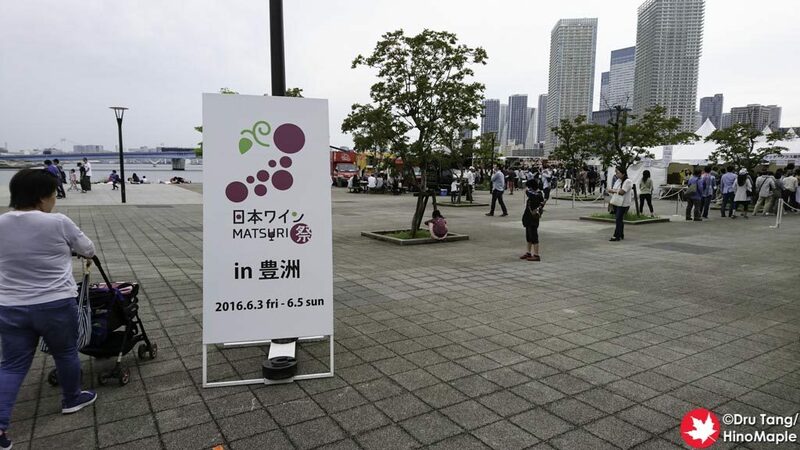 The 2016 Japan Wine Festival (also known as the Nihon Wine Matsuri) was held in Toyosu and it was the second time they had the festival in Tokyo. 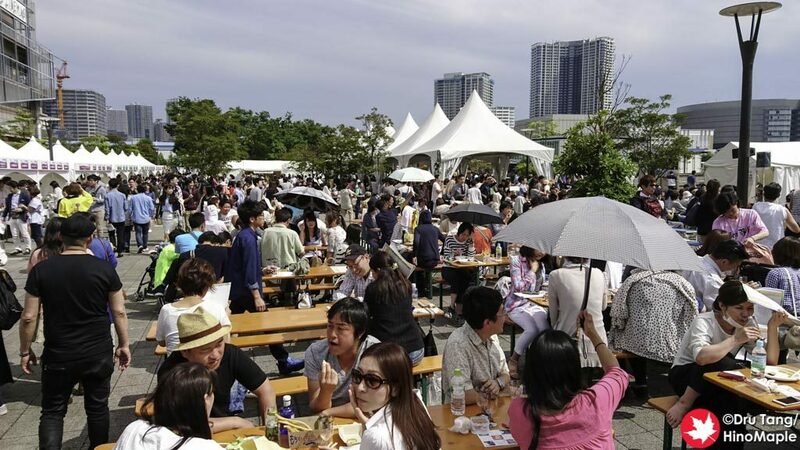 It was a very good festival and held behind Lalaport Toyosu, a large shopping mall. Getting there is pretty easy as it is on the Yurakucho Line as well as the Yurikamome Line. Walking from the station to Toyosu Park was a bit far but not too far. The festival was held behind Lalaport Toyosu, so you have to walk past Lalaport to get to the festival. You first pass the supermarket before you get to Lalaport. You could go through the mall, but if you are like me, that would cause the biggest headache possible, so walking around the mall was the only option. To the left of Lalaport was Toyosu Park. The best option is to find a little area there, put a plastic sheet down, and then head into the festival. The festival was just meters away and really convenient. 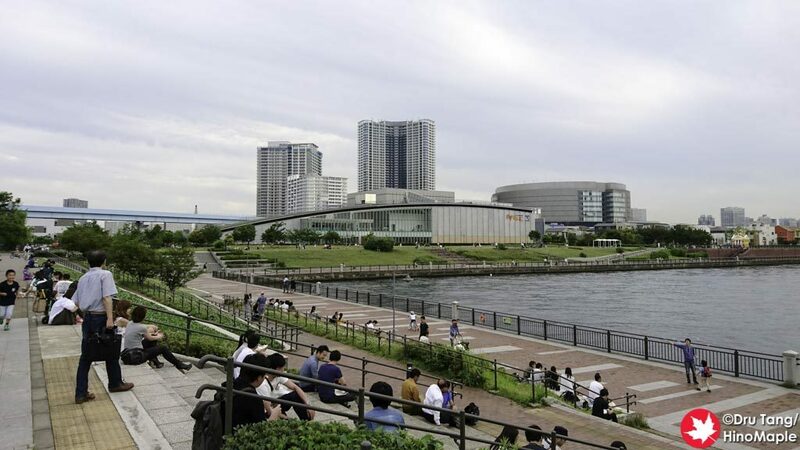 Alternatively, you can even sit on the steps next to the wharf if you don’t have a sheet and you don’t like sitting on grass, but if you are not Japanese, I’m sure you’d love sitting on the nicely manicured grass of Toyosu Park. If you really want to enjoy the entire festival, there were lots of seats with seats under a big tent, under the sun, and some standing tables too. There were no limits on what you could do and where you could go. The festival system was pretty straight forward but a little difficult if you don’t speak Japanese. There was a tent at the south end of the festival. This tent was where you could buy tickets for wine. It was similar to the Belgien Beer Week festival where you get a starter pack with tickets/chips. 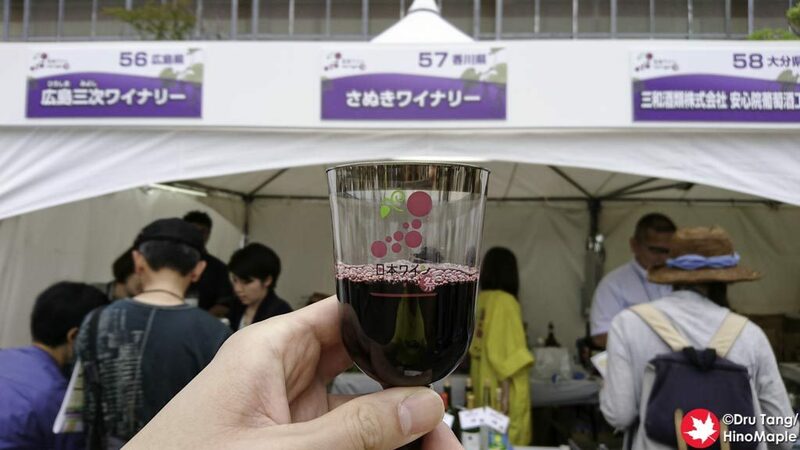 The Nihon Wine Festival had a special pair set where 4000 yen got you 40 tickets and 2 plastic cups. If you bought it normally, it would cost 1200 yen for 10 tickets and a cup. You basically got a free cup. There were also a lot of festival workers walking around selling extra tickets at 100 yen a ticket and cups at 200 yen each. There were options for everyone to get wine easily. The festival was laid out pretty smoothly. The booths were around the central seating area. There was even a small stage for young kids to display their idol dance steps. It was the most annoying part of the festival, but since I was sitting in the park it made no difference to me. The wineries were all organized geographically with wineries starting from the south and working their way north from the main entrance. While the wineries in the south were not as good as the wineries in the north, it was still nice to try as many wines as possible. The cost for each wine depended on what you wanted to drink. The base cost was 3 tickets, or about 300 yen for a very small glass of wine. I would estimate you get less than 200mL of wine in each glass, but to be generous, I would say about 200mL was possible. They did give the girls in our group some extra wine at times if you talked with the vendors. 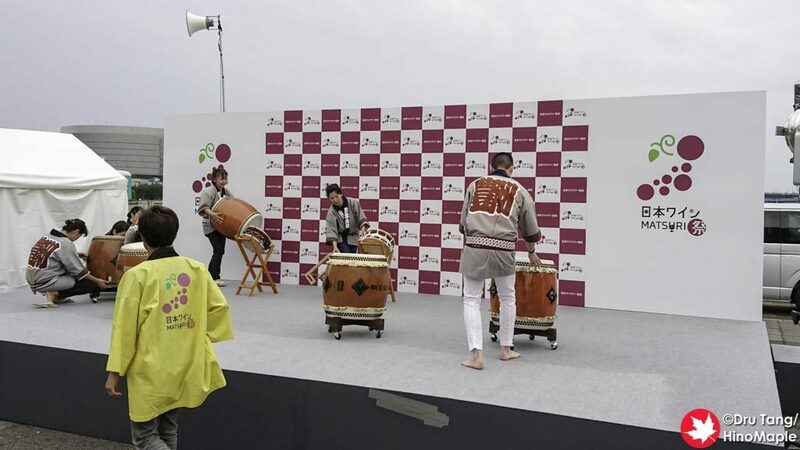 The most expensive wine was 18 tickets and that was from a Suntory winery. They did offer tastings but I really wasn’t going to even buy it so I didn’t bother trying it. I was able to get 4 different wines. The first one I tried was a Chardonnay from Chateau Merican. I got lucky as it was pretty good. You all know that I am a beer hunter and not really good with wine, but I did like this one. I then tried a couple of other wines. I had a red from Sanuki Winery that, to be honest, wasn’t great. Out of all of the wines, I only had 2 good ones, the Chateau Merican and a Marquis Winery wine. I forgot the name of the wine but it was pretty good for a Japanese wine. For food, there are a lot of options. 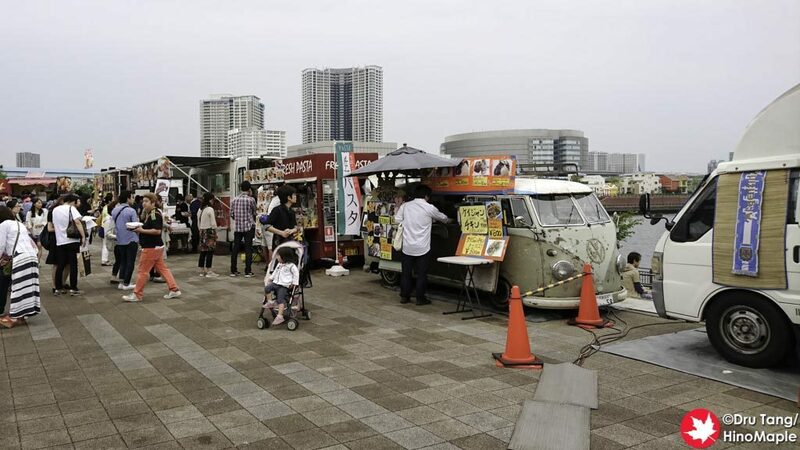 You can easily go into Lalaport Toyosu as the food court was right next to the festival. You could also go to the station end of Lalaport as there is a supermarket there. Then there were the food trucks. They brought a bunch of food trucks and they were great. The prices were not great but they were reasonable enough for a festival. I only had a taco and while it was not the best, it was good. 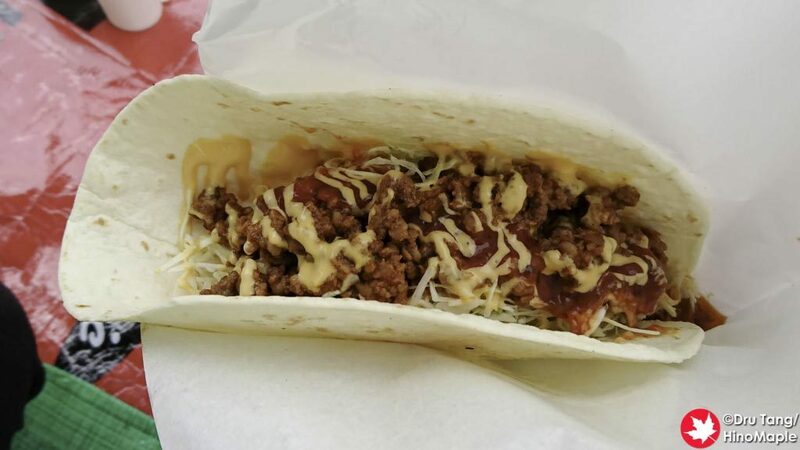 It felt like a high end Taco Bell or Taco Time taco rather than an authentic Mexican taco. Either way it was good and there were a lot of other good options. 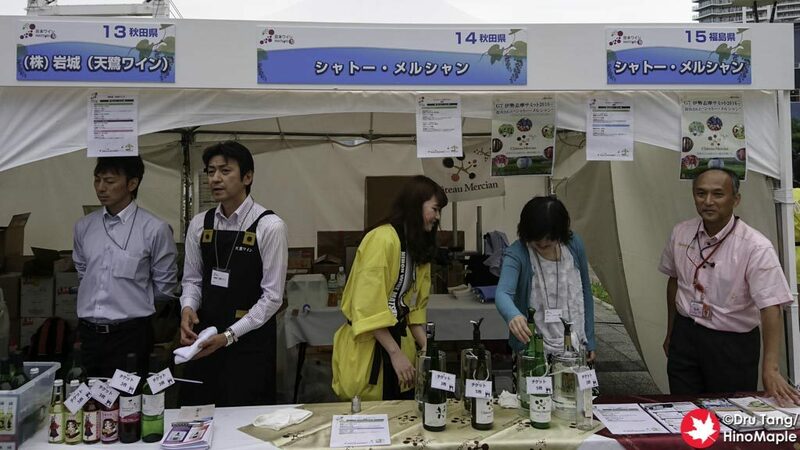 The Japan Wine Festival is a good way to wet your tongue and learn about Japanese wines. I did find that most of the wines were not good for me, but then again I am no expert and I was guessing at what a good wine should taste like. I also thought that the cost was a little high overall but the entire festival was fun. 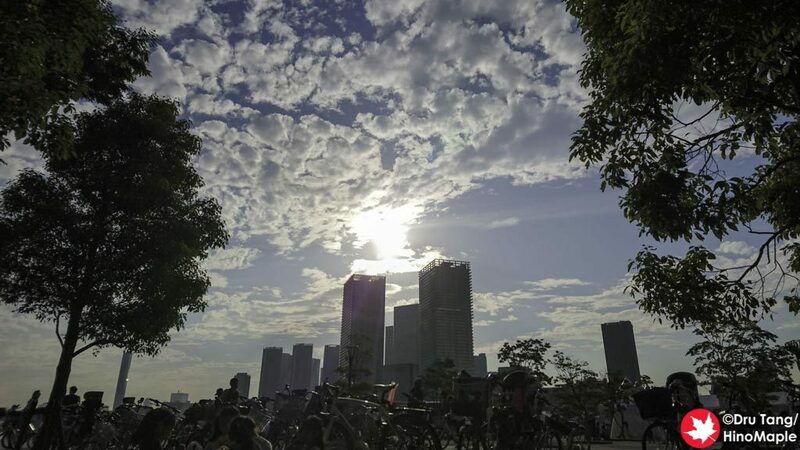 I really enjoyed it and I spent a lot of time just lying around in the park while my friends got drunk. 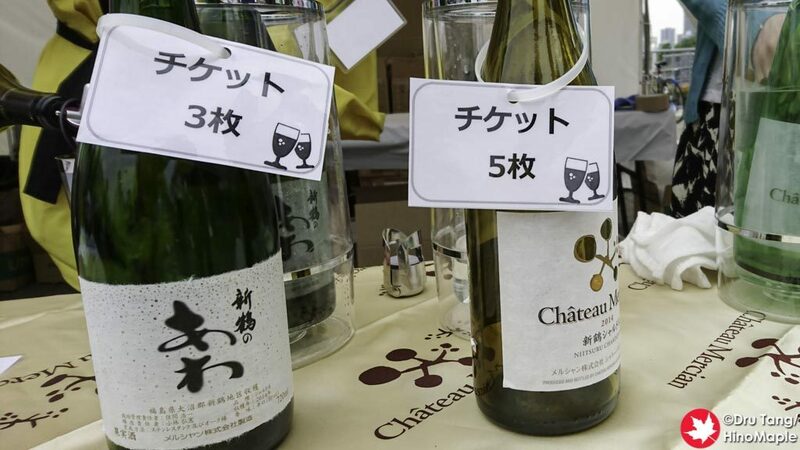 If you do have a chance to go next year, be sure to give it a try and you may find some great wines from Japan. 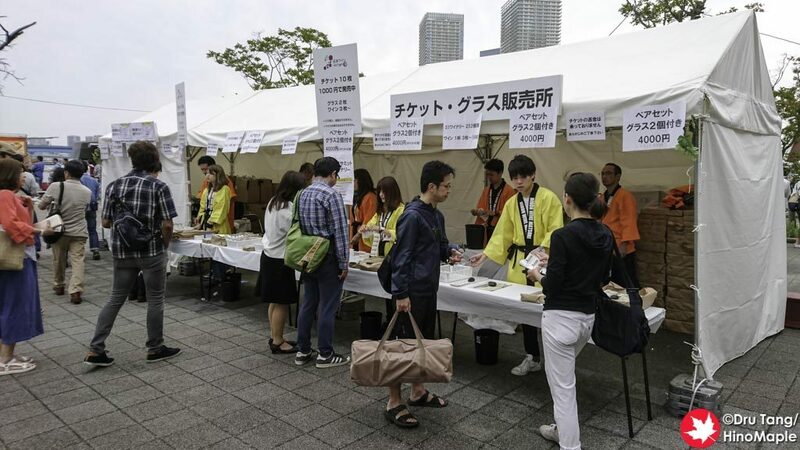 This entry was posted in Festivals and tagged festival, japan, Japan Wine, Japan Wine Festival, Japan Wine Matsuri, Lalaport, Lalaport Toyosu, Nihon Wine, Nihon Wine Festival, Nihon Wine Matsuri, tokyo, Toyosu by Dru. Bookmark the permalink.